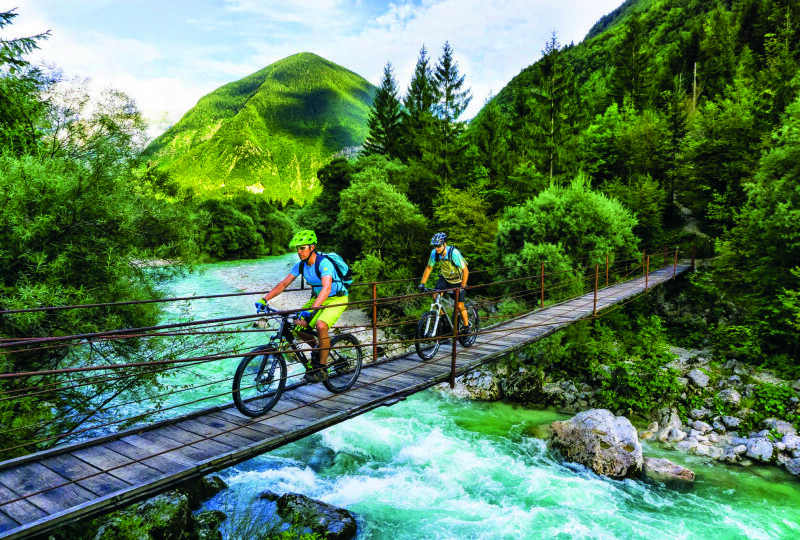 This tour reflects exactly what its name suggests – the best Slovenia has to offer when it comes to gravity assisted biking. 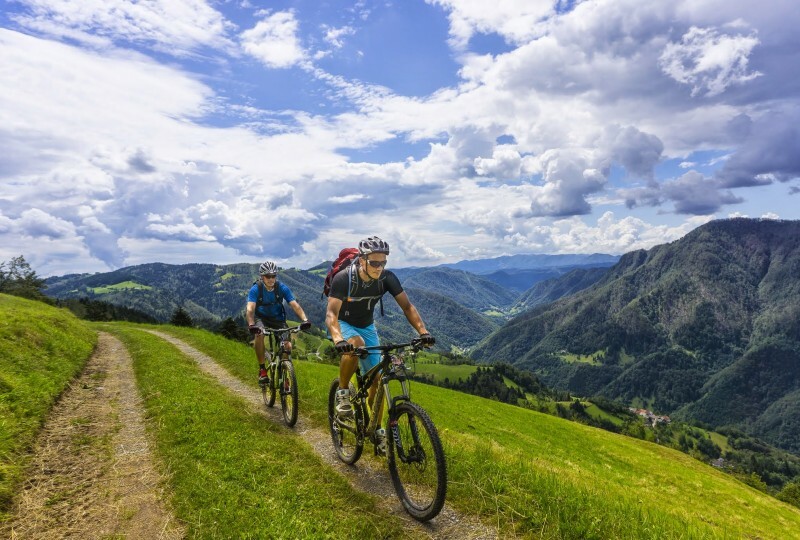 Consisting of carefully selected gravity riding spots, with ski lifts and organised shuttles, all your energy can be spent on smooth manoeuvring of your bike downhill before enjoying a delicious dinner and an overnight stay. 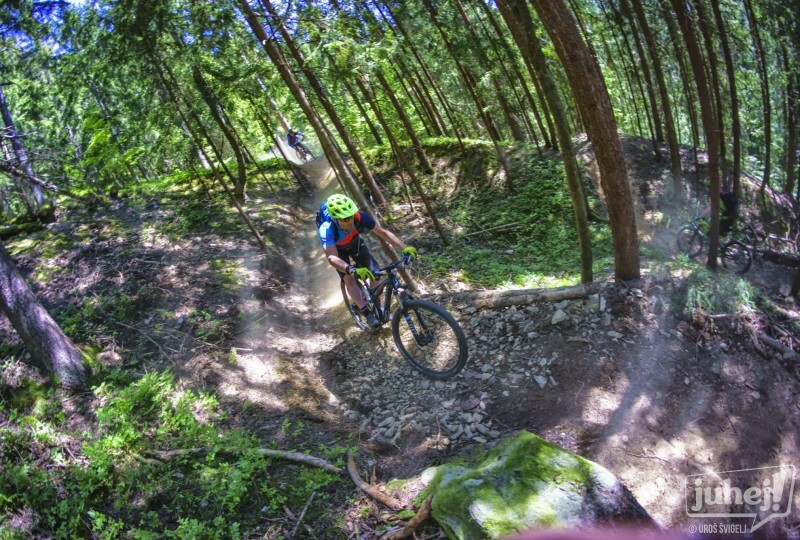 On the tour, hours long descents down the adrenaline-packed trails above the Soča and Vipava valleys, offering spectacular views over the well-known Soča valley and the Frulian plains in Italy, are followed by a well-earned day off in the charming capital of Slovenia, Ljubljana. 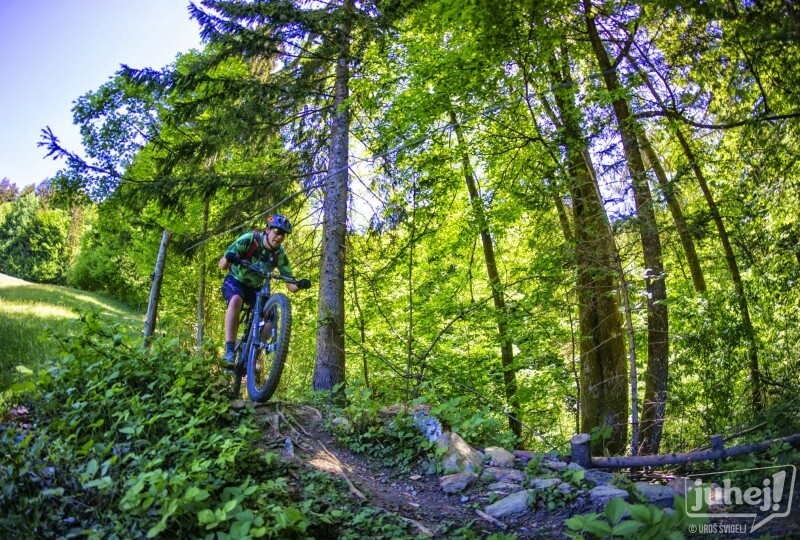 A bike park in the ski resort of Krvavec offers a wide variety of alternative routes to return to the valley the day after, with the tour finishing by taking the adrenaline biking trails of the Karavanke mountain chain. First day is all about welcoming the tour participants and getting them acclimatised to the area of the magnificent Soča valley, the first place in Slovenia to be proclaimed the European Destination of Excellence (EDEN) due to its sustainable development in tourism. Flowing under the majestic peaks of the Julian Alps with the distinct emerald green colour of water, the Soča is considered one of the most beautiful European rivers. In addition to a plethora of beautiful natural sites, the valley keeps alive the shocking heritage of World War I, which is visible at every step. 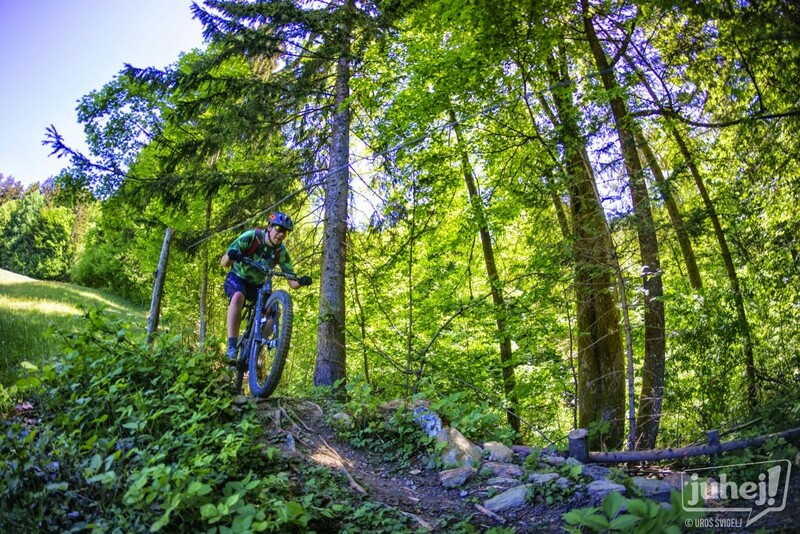 The Best of Slovenia Single Trails tour starts in Tolmin, the largest town in the Soča valley, which received the 2016 Alpine Town of the Year title and is dubbed “the town of festivals”. Near Tolmin, which is located at the picturesque confluence of the two rivers of Soča and Tolminka, one can find the Tolmin gorges providing the lowest lying entry point to the Triglav National Park. Tolmin is worth arriving to early in the morning to explore its relaxed atmosphere and the beautiful nature of the valley. During the day, a briefing is held to discuss the next biking day programme. A stunning two-hour descent from Mount Matajur is by far the best highlight of the day. A shuttle service is organized to its 1.642-metre peak offering fantastic views over the Soča Valley, the Friulian plains and the surrounding mountains. As many transfers as your energy or the length of day allow can be provided. A scenic descent takes the tour across the Italian border to a stop providing the well earned rest and treat to some tasty Italian ice-cream. From there, the shuttle is provided to take the participants back to Kobarid, Slovenia. A short break is followed by a visit to the well-known Kobarid museum devoted to the Isonzo (Soča) Front of WWI – one of the most dramatic battlefields that took the lives of more than one million soldiers. An overnight stay is arranged at the Soča valley. 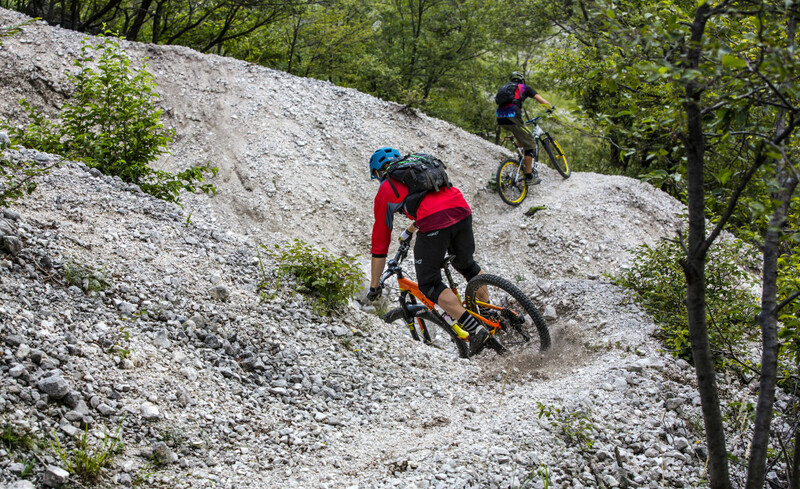 Also accessible by van, Mount Stol is the next big MTB hit in the Soča valley. Standing at the edge of the high Julian Alps, the Stol offers a splendid view of the sea. The 30-kilometer limestone ridge rising above Breginjski Kot stretches from Kobarid towards the Italian border. 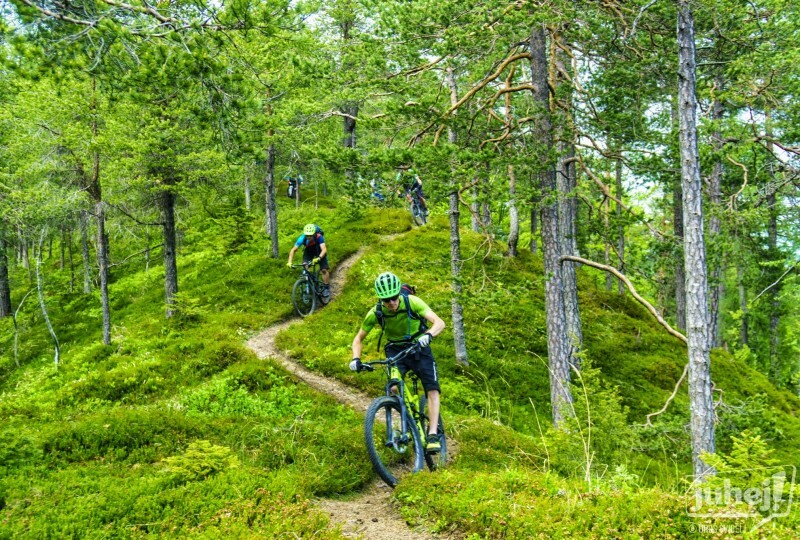 The descent is taken on a single long epic trail through the woods. No asphalt or gravel roads are used while going down. 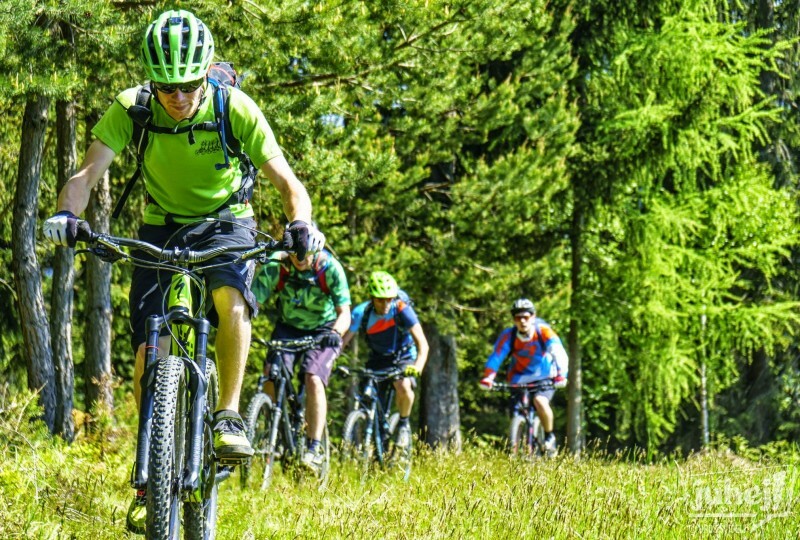 Included in the famous Trans Slovenia Long Distance MTB tour are the two mountains of Stol and Matajur, but those who opt for them have to truly strain their muscles to reach their tops before being rewarded with a wonderful descent. The participants typically do it only once. However, thanks to the van service, the descend can be done as many times as possible. At the end, a transfer is provided to the town of Ajdovščina in the Vipava valley. Note: The Mount Stol day can be replaced or complemented by another biking route, i.e. the one taken to Mount Kanin, a high altitude rocky mountain accessible by cable car. The town of Ajdovščina is a bit further away from the Alpine area than the Soča valley and closer to the Adriatic Sea, which means the weather there is warmer. The riding surface and the environment are also different. The terrain above the Vipava valley, called the Trnovo Forest Plateau, is a karst plateau that constitutes the extreme northwest end of the Dinaric Alps. Although without surface watercourses, it has a karst character as it is fragmented by closed valleys, outcroppings, hills and other features. The typical karst features here also include the ice caves. Remember, diversity is what is promised throughout the entire week of riding. A shuttle service is provided again to reach the starting point on Mount Čaven. 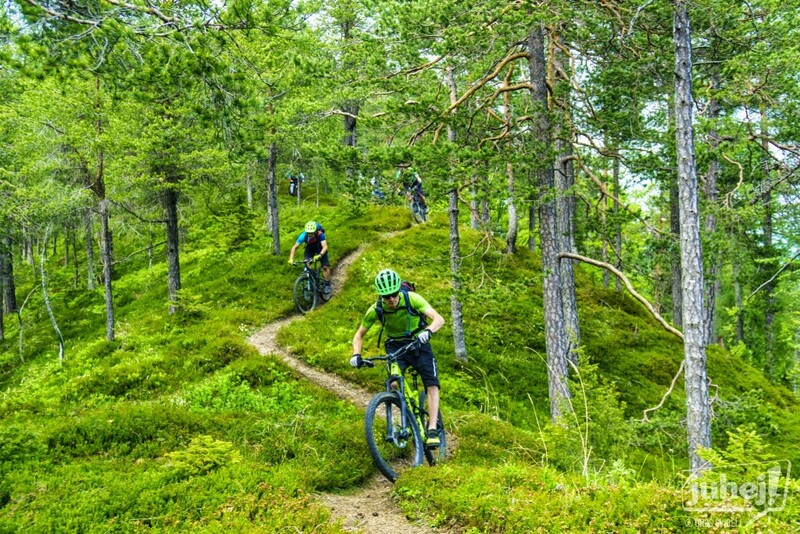 With numerous remote downhill trails providing an array of options, all you need to do is decide which one suits you best. Nevertheless, one thing is for sure: You will get to view plenty of magnificent scenery and stunning landscapes and enjoy the fun and adrenaline. An overnight stay is organised in Ajdovščina. After three days of riding, it is time for a break. On the way from Ajdovščina to the next riding area around the town of Tržič, lies Ljubljana, the capital city of Slovenia. Ljubljana has rapidly gained popularity over the last couple of years and is often voted one of the must-see European cities. It has a rich heritage, lively streets, friendly locals and plenty of good vibes! Strolling along the bank of the river and stopping at one of the many bars and restaurants will simply fill you with delight. Since Tržič, which will serve as the riding area on the following day, is a mere 30-minute drive from Ljubljana, the stay in the capital can be prolonged until rather late hours, before hitting the road again. One more thing: The Golovec Hill above Ljubljana and the beautiful Ljubljana Marshes extending at the very edge of the city could alternatively or complementary be explored by bike during the day. An overnight stay is provided in Tržič. 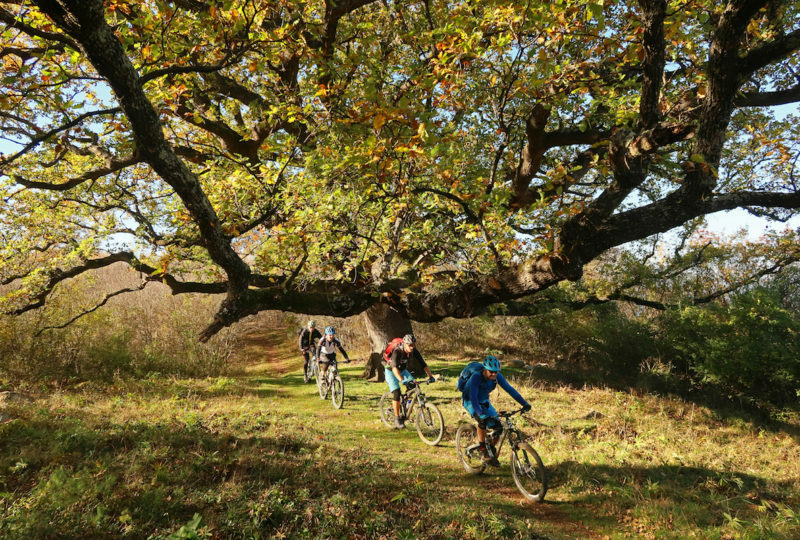 Lying at the heart of the Karavanke masiff, Tržič is a nice gateway for all sorts of mountain biking tours. 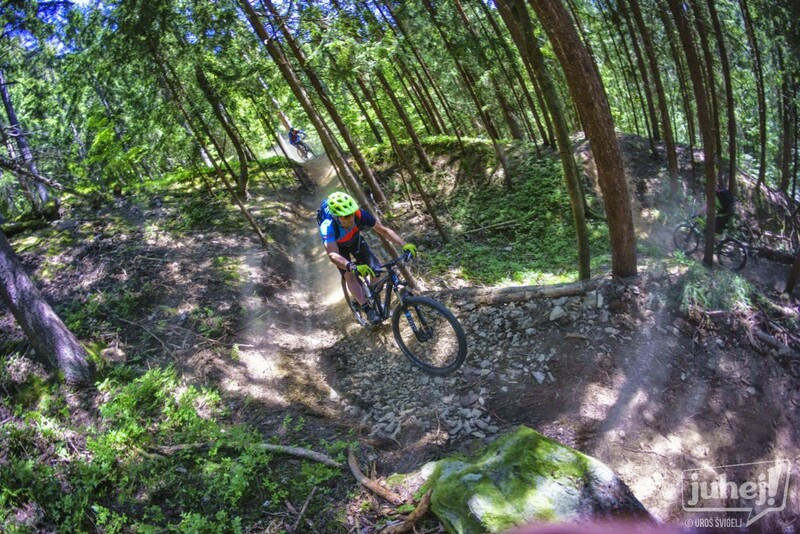 First, the tour entails a visit to the winter ski resort and the summer lift assisted bike park of Krvavec. The option is to take the cable car to the top and then either ride all the way back to the valley repeatedly or choose easier trails using the upper slopes of the summit. Either way, riding down to the valley will be the last ride of the day. Again, there are many different trail options to get back down, all well maintained and suitable for any levels. An overnight stay is provided near Tržič. Tržič provides adventurers with unlimited potentials for all sorts of adrenaline activities, mountain biking being one of them. 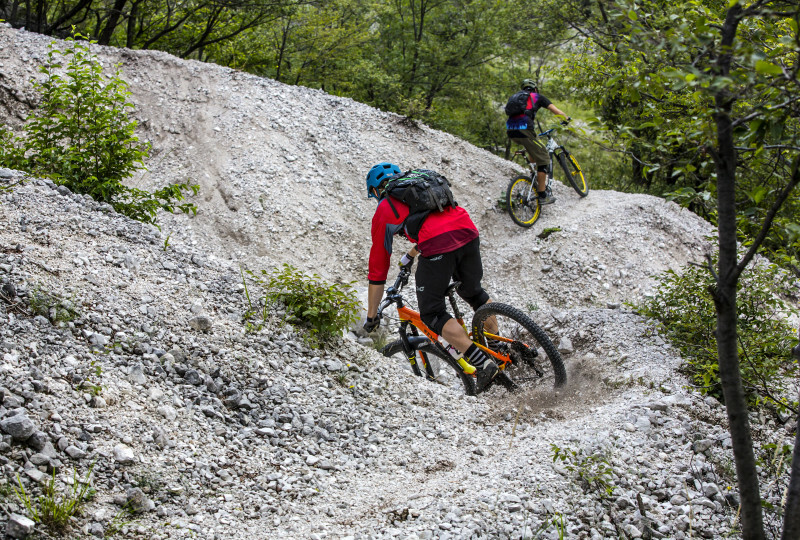 Although it is possible to ride up the gravel road, a shuttle is a much better option since the Best of Slovenia Single Trails is all about saving one’s energy for descents. However, there are some rather short sections where biking is still the only way up. Once on the top, you will be rewarded by pleasant views and a ride down the wonderful twisty trails shared only with hikers. The destination of the day is a scenic mountain pasture of Kofce on the southern slopes of the Košuta ridge, just above the timberline. It offers some exceptional views of the surrounding mountains, all the way to Mount Triglav in the Julian Alps, the Ljubljana Basin and the Kamnik Savinja Alps. The departure day. A morning transfer to any of the nearby airports can be provided. The adventure starts at the town of Tolmin in the Soča Valley and ends in the town of Tržič. Five international airports, those at Ljubljana, Venice, Treviso, Trieste and Klagenfurt, are all located within the 150-minute drive from the Soča Valley. An airport shuttle from and to any of the five airports can be arranged. There are many different routes leading to Tolmin. The most suitable one depends on the desired starting point and interests. Those who have both the time and the will can explore many beautiful spots on the way. The most convenient route is the one leading via Villach (Austria) to Udine and Cividale (Italy) to Kobarid and Tolmin (Slovenia). The most convenient route is the one from Udine and Cividale (Italy) to Kobarid and Tolmin (Slovenia). 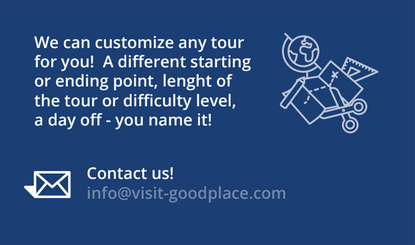 The most convenient route is via Gorizia (coming from Italy) or Ljubljana (coming from other directions) to Nova Gorica and Tolmin (Slovenia).